Dallas Cowboys owner Jerry Jones says that the National Football League (NFL) is suffering serious damage due to the ongoing national anthem protests that have swept the league in recent months. “There is no question the league is suffering negative effects from these protests,” Jones told the Fort Worth Star-Telegram following the Cowboys’ 40-10 victory over the San Francisco 49ers on Sunday. He also stressed that some of the Cowboys’ sponsors have raised “concerns” about the anthem protests. “All times, I want to do the right thing by them and their customers. I have a great responsibility to the people who support us. We all get great benefits from having a lot of people watch our games. All of us do,” Jones said. 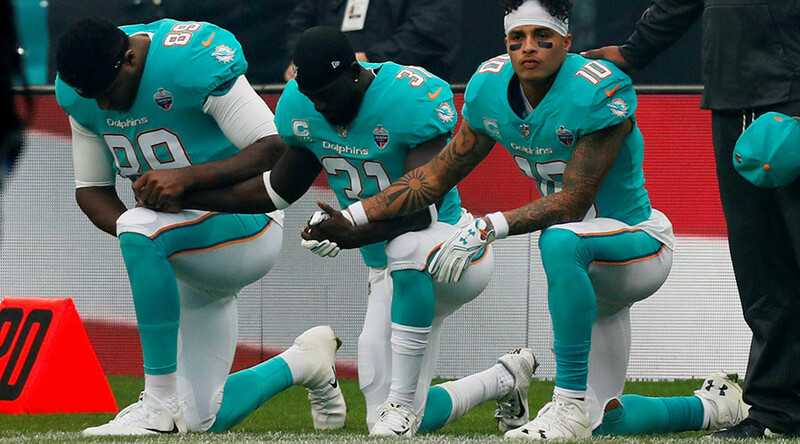 The protests have reportedly led to a decline in TV ratings and ticket sales, with the total viewership of NFL games plummeting 7.5 percent compared with last season. The Cowboys are one of six NFL teams that don’t have protesting players on their roster. “If we are disrespecting the flag, then we won't play. Period,” he said. 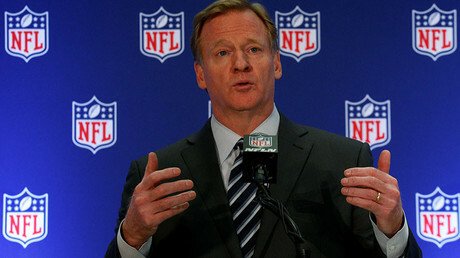 Last week the NFL commissioner, Roger Goodell, held a meeting with team owners, union leaders and players to address the controversy surrounding the ongoing protests. Right after the meeting in New York, Goodell said that the league believes players should stand for the national anthem, however no policy change was announced, meaning the league will not impose punishment on players who continue the protests. “We believe everyone should stand for the national anthem," Goodell said. "Our players will state to you publicly they are not doing this in any way to be disrespectful to the flag, but they also understand how it's being interpreted, and that's why we're trying to deal with those underlying issues," he added. The NFL’s decision not to force players to stand during the ‘Star-Spangled Banner,’ however, angered US President Donald Trump, who accused the league of disrespect. “The NFL has decided that it will not force players to stand for the playing of our National Anthem. Total disrespect for our great country,” he wrote on Twitter.